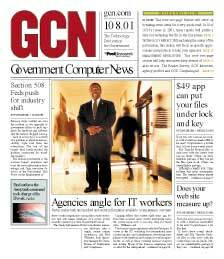 A redesigned Government Computer News will debut with the Jan. 8 issue, the first of 2001. The issue will mark GCN's first major redesign since 1993, according to editorial director Thomas R. Temin. Readers will notice the changes beginning with the front page. It will sport a new logo and page design, reflecting a fresh approach to how GCN covers information technology in the federal government, and the people who buy and deploy it. GCN's writers and editors will more closely focus on electronic government, IT employee recruitment and retention, security, communications and networking, outsourcing, IT policies 'and emerging technology topics ranging from wireless to knowledge management that extensive research has shown to be of utmost importance to readers,' Temin said. GCN will continue to be a tabloid-sized newspaper, with upgraded graphics, photography and typefaces. Sections have been reorganized to reflect the new focus of the content, he said.